Farmers and farm managers undertake farming operations to raise livestock and cultivate crops, fruit, vegetables and other agricultural products. Crop Production: Perform annual tasks to grow a wide variety of crops such as grains, oilseeds, sugar cane, cotton, fruits, and vegetables. Livestock Production: Manage the breeding and raising of a wide range of animals including beef and dairy cattle, sheep, pigs, horses and poultry. 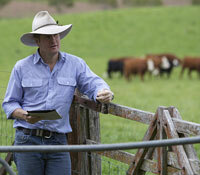 Farm managers require good planning and problem solving skills, and the ability to work independently. Good computer and mechanical skills are an advantage, together with a capacity for working outdoors.